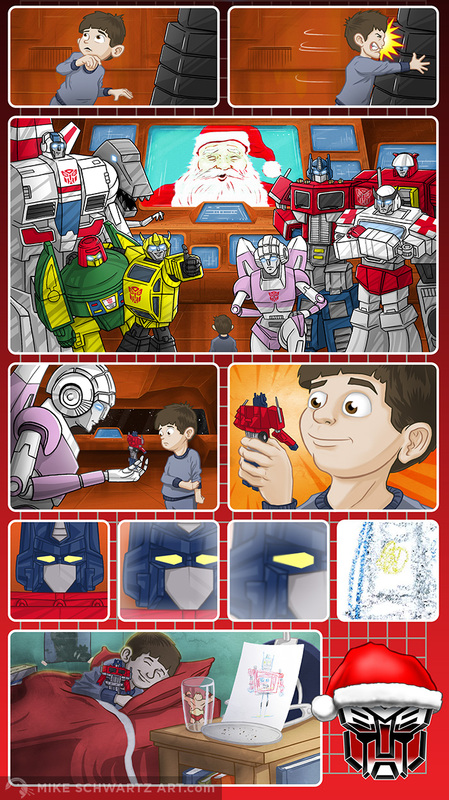 A love letter to Optimus Prime, the Autobots, and the rest of the Transformers lore, this screen-scrolling web comic was created in time for Christmas. It is like a gift from Santa Claus to all fans of retro 80s toys and cartoons. My love letter to Transformers, written by Mario Muscar as part of his 12 Days of Fiction project. This was probably the most fun I had creating anything ever. Crayon drawing by my son.